A few months back, we made the decision that since our house hunt hadn't led us to the right house for us, that we would enter into the project of updating the kitchen. Originally, we were focused on getting a quote and planning to wait for spring to start the project Then, as luck would have it, the cabinets that we had selected were on a special. We decided that we should take advantage of the discount and get the cabinets. We didn't want to pay for cabinets and not install right away, so we decided to move the whole project up. We chose a start date, knowing that with a 4 week timeline, we would be without a full kitchen on Thanksgiving, but anticipating that we would be back to normal in early December. Unfortunately, some quality issues with a cabinet, some unexpected water pipes in a wall we removed that had to be rerouted and an issue with the counter top led to an extension to our timeline. I wasn't too worried about this, other than the holidays. We had gotten rather adept at using our bar kitchen and our oven, which was operational most of the project time-frame, to keep ourselves fed. As the holidays approached, I started to worry. I rely on baking to provide gifts to the kids' teachers, my team at work, our neighbors and family. I also have various holiday parties that I attend, where I need to bring a dish to share. All of these things are more challenging without an operational kitchen. Fortunately, I like to think outside of the box and came up with several things that I could make that provided great flavor and could be made without a kitchen. 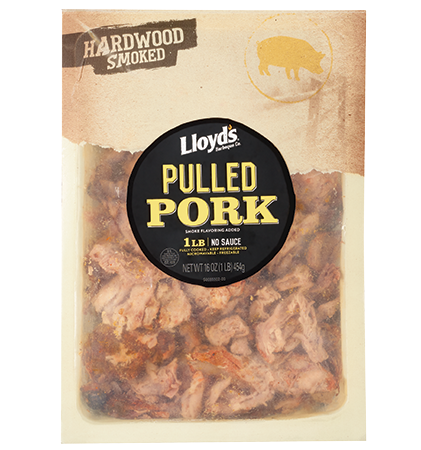 For the holiday food day at work, I turned to my crockpot and LLOYD’S® Pulled Pork. 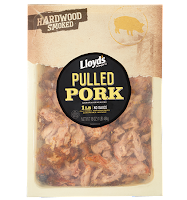 The product is very flavorful on it's own, but since I was planning to warm and hold in my crock-pot I added our favorite barbecue sauce. I grabbed some slider rolls on the way to the office and voila, I had a great dish to share at lunch. 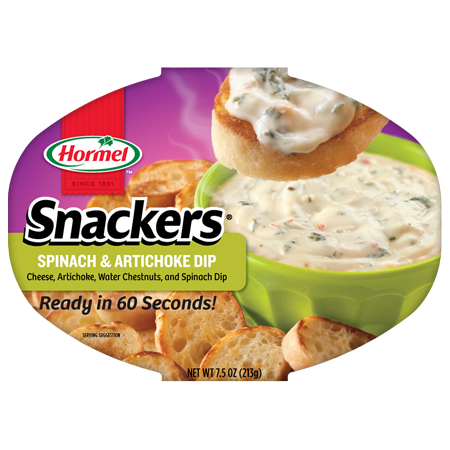 two containers of the HORMEL® SNACKERS® Cheesy Bacon & Jalapeño Dip and two of the HORMEL® SNACKERS® Spinach & Artichoke Dip. 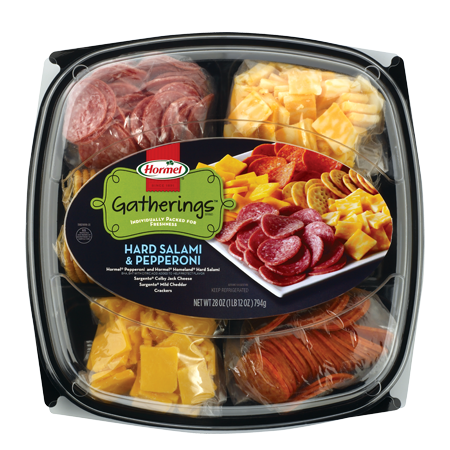 Of course, Hormel Gatherings snack trays would have been another easy solution. 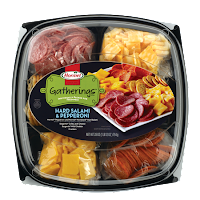 With precut cheese, meat and crackers, it is ready to go and be part of your party in no time. As for my holiday baking, I fortunately had a counter top and sink installed and reconnected in time to spend a weekend baking. I made over 30 batches of biscotti and one batch each of cut out cookies, Italian Christmas cookies, fudge and bruchtel bars. How do you entertain at the holidays? What are your favorite snacks to take and share? No compensation was received for this post. All opinions expressed are mine or those of my family. 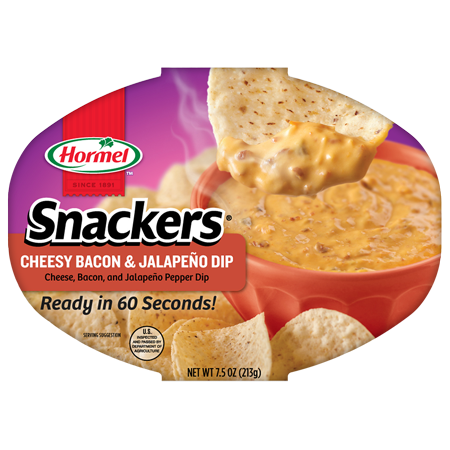 I am completing this post as a participant in the Hormel Foods Extended Family Blogger program. 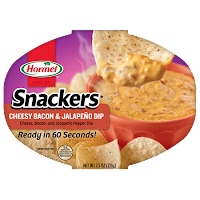 Hormel Foods provided some product samples for my family to try. I also receive thought starters, information and photos that can be used in a post.